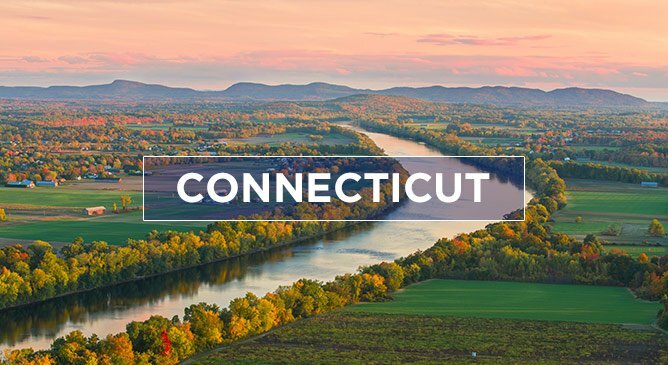 Connecticut, one of the main gateways to the stunning region of New England is a small state that’s jam-packed with history, culinary experiences, family friendly attractions and so much more. 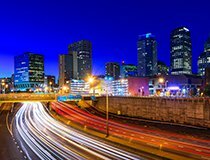 Perfect for fly/drive holidays, Connecticut spans 110 miles from east to west and just 70 miles from north to south. It’s a diverse state that offers the perfect experience for everyone who visits. 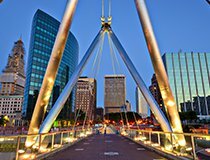 Hartford is the state’s capital and this bustling city has many exciting attractions including the Mark Twain House, Wadsworth Atheneum, Harriet Beecher Stowe House and the Connecticut Science Center. 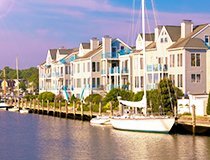 Located on the south-eastern corner of New Haven County, Madison is a quaint seaside town that’s perfect for a day or two of relaxation on your trip. Madison is all about its beaches and while there, a visit to the Hammonasset Beach State Park is a must. Mystic is a seaside town and its home to the famous Seaport Museum which is filled with centuries old ships and it's also known for its fantastic aquarium, the Mystic Aquarium. A coastal breath of fresh air, Mystic is always a popular stop for those exploring Connecticut. With endless things to do including zip-lining, culinary experiences, colonial history, excellent shopping and so much more, your time in Connecticut will be full of adventure. Explore historic seaports, spend an afternoon in a museum, test your thrills white-water rafting or enjoy a Segway tour. The list of attractions in Connecticut is endless. Connecticut is a fantastic shopping destination and throughout the State, you will find many shopping options including designer outlets, quaint boutiques and more. 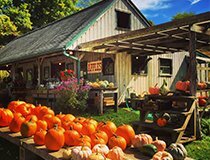 Unique culinary experiences await you in Connecticut. Try some local fresh seafood, dine in a gourmet restaurant or enjoy one of the many brew pubs in the State. Connecticut experiences a moderate climate. Winters are cold and temperatures can be as low as −3 °C. Snow is also common during the winter months. Summer time is warm throughout the state and temperatures normally average at around 21-24 °C. Fall is the best time to visit the State as weather is pleasant and the foliage stunning. It’s also important to note that the coastal areas experience warmer winters and cooler summers compared to their inland neighbours. Connecticut weather is also known to be unpredictable and can change at any moment. To quote long-time resident on the weather, ‘If you don’t like the weather, wait a minute’. 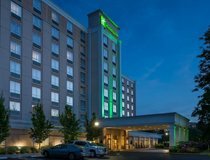 Connecticut has never been more accessible from Ireland with the direct Aer Lingus service from Dublin to Hartford. And, if you’d like more information on planning a trip to this fantastic New England state, you can contact our travel experts on 01-8173535 or via the contact form below.